WARNING: This article contains images which some readers may find disturbing. On Friday 12th October 2018, Mary Holliday Lamar, 51 years, of Ashover Road, Old Tupton, Derbyshire pleaded guilty at Chesterfield Magistrates Court to possessing a wild Peregrine falcon and keeping an unregistered Schedule 4 bird. Lamar, who is a US national now living in Derbyshire, is an experienced falconer. In December 2017 wildlife crime officers from Derbyshire Police and the National Wildlife Crime Unit executed a search warrant issued under the provisions of the Wildlife and Countryside Act 1981 at Lamar’s home address. Officers examined her collection of falcons that were kept in aviaries in her back garden. 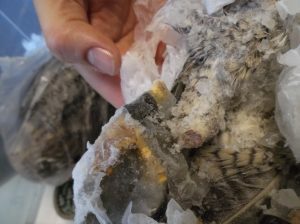 In one aviary they discovered a young Peregrine falcon that was still in juvenile plumage, indicating that the bird had only been hatched earlier in 2017. However, the bird was wearing a leg ring that had been issued to a peregrine had been hatched in 2014. A Peregrine hatched in 2014 should have been in full adult plumage. Officers found a file of paperwork in Lamar’s house, which related to all the birds being kept in her aviaries, including a permit (Article 10 Certificate) that had been issued to the original 2014 falcon. Lamar also had a number of falcons housed in a garage at the side of her house. In a freezer within the garage they found the carcass of a dead falcon that had had its right leg cut off. 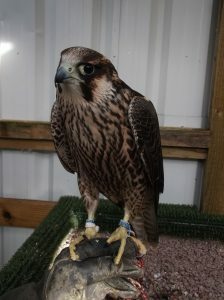 Officers believe that this was the original 2014 falcon and that the leg ring had been recycled in an attempt to legitimise a young wild-taken falcon. In view of the fact the permit did not actually relate to the 2017 bird meant that it was also unregistered. Lamar claimed that although the falcon was in her possession, it had been brought to her house by another man who had been working for her earlier on 2017. However, her account was always disputed. The case had been listed for trial on Friday, but Lamar changed her original ‘not guilty’ pleas to ‘guilty’ on both charges. The District Judge hearing the case told Lamar that she was an accomplished keeper who had day to day hands on contact with the falcon. He said that she knew the difference between an adult and a juvenile bird and although it was not clear how the bird came to be at her house, he was satisfied that there had been an attempt to disguise the falcon’s true identity. He told Lamar, “Had you not pleaded guilty, albeit at the last opportunity, you would be starting an immediate custodial sentence”. 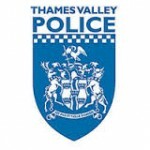 Lamar was sentenced to 18 weeks imprisonment, which was suspended for 12 months, she was ordered to complete 120 hours unpaid work and had to pay costs and surcharge totalling £1135. Lamar is also disqualified from keeping Schedule 4 birds, which includes Peregrine falcons, for a period of 5 years. Under the Wildlife and Countryside Act 1981, Peregrine falcons receive the highest level of protection, it is an offence to take, kill or injure a wild Peregrine falcon. In addition, Peregrine falcons are listed on Schedule 1, so their nests and dependent young receive protection from deliberate or reckless disturbance. It is also an offence to possess or be in control of a wild-taken peregrine. Possession is an offence of ‘strict liability’, so a person must be able to show that any bird in their possession has not been taken in contravention of the Act. 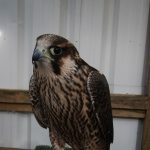 All Peregrines in captivity must also be registered with the Animal Plant Health Agency, however birds covered by a UK issued CITES permit, known as an Article 10 Certificate do not need to be additionally registered. 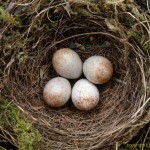 There is an exemption for possessing sick or injured receiving treatment, but this only covers a person for up to 15 days and after that the bird must be registered. All birds must be released as soon as they are fit.